A deluxe model that looks fantastic in any setting, the Thornton Dining Chair Grey Fabric is not to be missed. A completely luxurious piece with a perfect mix of classic and on-trend style, the Thornton will give your dining area a fashionable update. 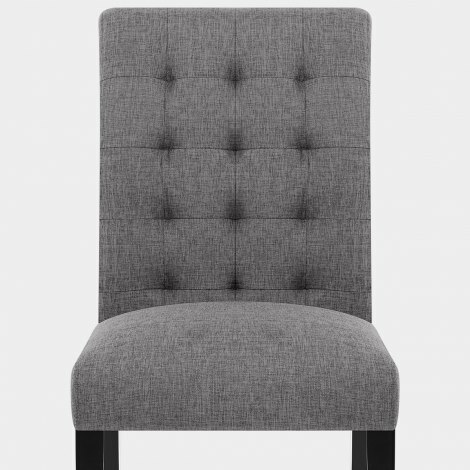 Upholstered in soft grey fabric, it has a cool, neutral look that is a great accompaniment to any interior style and colour scheme. With a design inspired by classic dining chairs, it features an elegantly formed scroll back with quilted detailing. Plus, a cushioned backrest and seat, supported by a comfortably flexible sprung and belted frame. Set on solid wooden legs with a wenge finish, finished with protective floor plugs, the Thornton offers ultimate dependability that you can really rely on. "Adds quality, glamour and style to my dining room"
Excellent product. Bought just one in the first instance to try out then ordered another 5 for our kitchen. Very comfortable with a properly sprung seat. Fairly easy to put together. Would suit either a formal dining room or dining kitchen. Chairs arrived the next day from ordering and were easy to assemble. Excellent quality, look a lot more expensive than they are! I don’t know how you do it but we’re very happy with our purchase. I love my new chairs very comfortable and stylish. 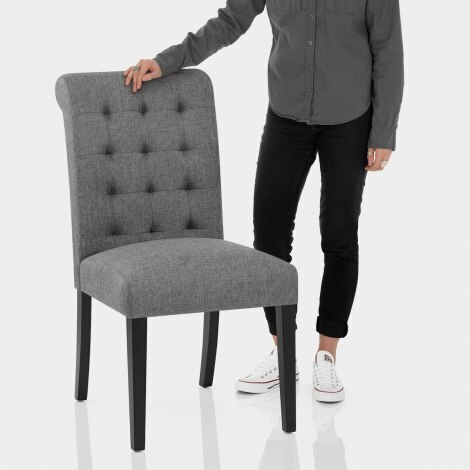 This product was easy to assemble and is comfortable and stylish. It was easy to order and arrived very quickly. I am so pleased with this purchase so far. Adds quality, glamour and style to my dining room. Really happy with these chairs, easy to put together and good quality too.